In the past month a variety of interesting books have been released. After going through these, read about the history of the book Prayers and Meditations, further down. Man's paradoxical relation to death is that he sees the fact of death all around him, yet lives as if he were immortal. He may struggle to understand, wandering from the material scientist to the mystic in search of the secret meaning of death. In this book the author examines the complex questions on the nature of death, and follows Sri Aurobindo's deeper vision behind the veil of death to find the answers to some of the most perplexing ethical and existential problems related to death, dying and the beyond. Written as an introductory outline of the development of Vedic literature from the Vedic Samhitas and continuing through the Upanishads, Glimpses of Vedic Literature provides the beginning student with the necessary tools to understand this complex literary treasure and its continuing influence on the Indian spirit and culture. The later chapters highlight Sri Aurobindo's discoveries which unlocked the mysteries and secrets of the Vedas and explained their relevance to modern man and to the future of humanity through the practice of Yoga. Looking at the problems of the current age, the author finds psychological applications from Vedic literature to guide us forward. In 1968 the Mother commenced her work on Savitri with Huta. The Mother read out passages from Savitri and then after a deep contemplation gave her comments which were tape-recorded and later transcribed by Huta. The Mother named the work About Savitri. In 1972 Huta offered to the Mother copies of About Savitri, Part One (now out of print), consisting of Book One Canto One. 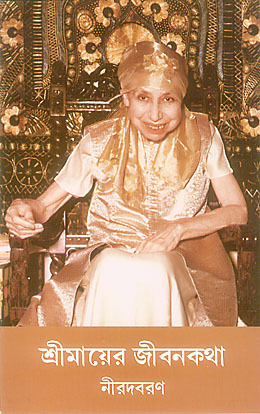 The Mother's message for the book was: "Savitri  The supreme revelation of Sri Aurobindo's vision." Part Two of About Savitri consisting of Book One Canto Two was published in 2000 (also now out of print), while Part Three with Book One Canto Three was issued in 2005. Here is Part Four of About Savitri consisting of Book One Canto Four (unfinished), with the Mother's explanations on the passages, and including 18 paintings by Huta inspired and approved by the Mother. Comprised of reports given at four sessions of an Italian group studying the works of Sri Aurobindo and the Mother, this book seeks to provide a practical link between psychoanalysis and the practice of the integral yoga. The author points out the many common points she discovered while practising the two disciplines; for example, how psychoanalysis can activate what Sri Aurobindo calls the Interior Witness and help in purifying the mind, the vital and the body. The basic theoretical principles of psychoanalysis are interspersed with excerpts from the works of Sri Aurobindo and the Mother to explain and amplify the author's premise. Just as a place has a history, just as a person has a story, so too a book can have a history of its own. The Mother’s Prayers and Meditations is one such book which has many interesting details associated with it. The facts relating to how it came to be published, how the various editions were later printed, and its translation into English form a story by themselves. Equally interesting are the stories of how this book came to be studied in the Mother's classes, how it was a part of the collective life of the Ashram. The book, as everyone knows, is made from the pages of the Mother’s diary, where she noted down the step-by-step, perhaps day-by-day, progress of her sadhana. 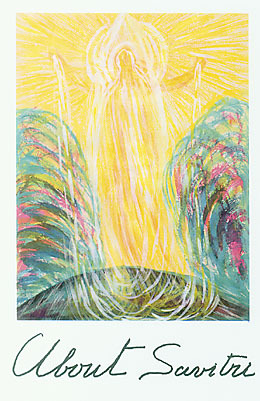 Although it is a description of her inner world, we can catch glimpses of her outer life through the text of this book. It is important to note that it was not written for publication. In fact, the publication of this book was not even considered until 1933. This is evident from the way the Mother herself cut out several pages of the manuscript and distributed them to some of the disciples. One reads in Dyuman-bhai's reminiscences how he received two of the prayers from the Mother with the words "To Dyuman" marked on them. However, these prayers which had been given away were also included when the selection for the printed version was made. What makes the text so deeply moving is the fact that it was not written for readers but was actually a personal conversation with the Divine. Perhaps some day the Académie Française will wake up and realise that the Mother was one of the finest writers in French. We associate poetry with Sri Aurobindo but in this book, in its original French, we see the poetry in the Mother's expression. In all her other works we see the clarity, the elegance and the power of her language. This is one of those rare texts where we see her emotions too. Before we follow the long spiritual journey that it delineates we should remember that this is not the whole body of all that was written. A selection was made by Sri Aurobindo, after the Mother had already spent a number of years in the Ashram, of only some of the texts and brought out as a book. The remaining pages of this extraordinary diary were burnt in the boiler where water used to be heated in the Ashram main building. If we take this fact into account it becomes clear that one prayer does not necessarily follow the other even though the sequence is chronological. It may even be that the first prayer of the book was not the first entry in the Mother's diary. In fact it was not a single diary, there were five notebooks covering the years between 1912 and 1920. The experiences are scattered over time and space: Paris, Puducherry, and Paris again; then Japan and finally back to Puducherry. Some of these pages are written during the sea voyages which took the Mother from one country to another. Some of the prayers are written in the tranquility of Japanese cities, others in war-torn Paris and still others in Puducherry. The diary begins much before the Mother met Sri Aurobindo and continues well into the period when she had settled down in Puducherry, the last published entry being in November 1931. What is so extraordinary about this book is that even though the Mother's outer life at that time was going through such radical changes the inner life remained so one-pointed and focussed. Even on a physical plane, the journeys she undertook during those years could have been totally unsettling to anyone. In the early years of the twentieth century going from Europe to Asia was like going from one planet to another. The culture shock, the lack of communications and the physical discomfort involved could have easily drawn a person’s energy and attention into the details of physical life. Our admiration only deepens when we see that the Mother's inner life continues on its straight path, is enriched and intensified in spite of the constant changes in the outer circumstances. When the very first edition came out in the original French in 1932 it was printed in Puducherry. The same press which used to print the Arya also printed this first edition of the book. There were only 300 numbered copies and these were distributed over the years to the disciples. By 1944, however, all the copies of this French version were exhausted so a new edition was printed. But this time the printing was done at Hyderabad. The work was undertaken by the Central Government Press which was run by a devotee. The person who ran this press came soon after to Puducherry and helped the Ashram to set up its own press in 1945. The English translation, about one-fifth of the prayers previously published in French, was brought out in 1941 and printed at Madras. A little-known fact about the publication of this English version is that only a few of the diary entries were translated by Sri Aurobindo. Several disciples, Datta and Nolini-da among them, translated the other prayers. Not all of them were taken up for the English translation of the book. Sri Aurobindo went through the manuscript, corrected it extensively, and oversaw the entire preparation of the book, even correcting the page proofs, until it went to press. The second edition of the French version was also numbered, 500 in all, and again distributed among the disciples, who were now more numerous. In a talk given by Millie-di in the year 2000 she recounted some facts about this second French edition. 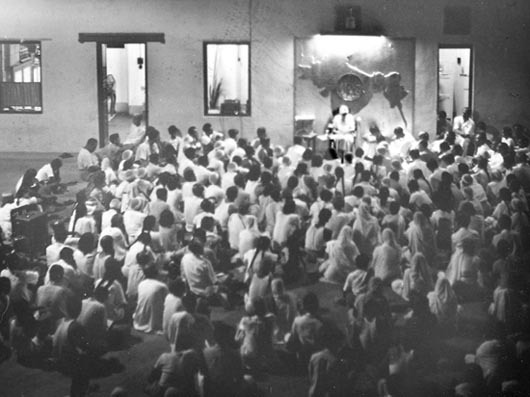 During this talk addressed to members of the Ashram, she remembered how the Mother started a French class for the ladies who used to work in her room and who were very eager to learn this new language. The class was first held in her own room and later in the darshan room above the meditation hall. This is just next to Sri Aurobindo's room, so those who attended the class were aware that the Master was present in the adjoining room. At first it was not known by everyone that such a class had been started by the Mother. But when others came to know of it more people were also included in this group. The Mother chose this book as the text from which she would teach the French language. It is interesting to note that she chose directly this book and not an ordinary language-teaching one. Millie-di also remembered that as she had learned how to do leather work before coming to the Ashram, she proposed to the Mother that she could teach the leather binding of books to those who were working in the binding department. This is how some of the copies of this second edition were bound in leather at the Ashram. Even though the press had not yet come into existence, the binding department was already there. This group of disciples were a mixed lot, in age as well as their level of knowledge of French. They read the prayers and memorised them. The Mother also asked them, at times, to open a page at random after concentrating briefly. The page that was opened had some indication to their inner need or query. There is nothing surprising, actually, about the Mother teaching a new language to adults directly from a work of high literature. This is the way Sri Aurobindo had taught himself Sanskrit, by studying the story of Nala Damayanti from the Mahabharata, and Italian by reading from Dante’s Divine Comedy. He used the same method to teach Sanskrit to Nolini-da. The other story connected with this book is equally interesting and important. In 1951 the Mother gave a copy of Prières et Méditations to Parul Chakraborty as a present on her 14th birthday and wrote “to Parul with my blessings” on the first page. Parul knew very little French then and being just a teenager couldn’t understand much of what the text really meant. However, the Mother asked her to read the book and specifically told her not to go to anybody to ask for explanations. She also told her that she herself would explain anything she wanted to know. In those days children had free access to the Mother, so Parul would go up to the Mother’s room at any hour of the day to ask her the meaning of some sentences, sometimes even of simple words. At times the Mother would be in the middle of some important work but she would take a few minutes to patiently explain whatever Parul had come to ask. Finally, not wanting to be disturbed while she was working with others, she asked Parul to come to her with her questions when she was at the Playground in the evening. That was a convenient time as the Mother used to sit, after the usual activities were over, and watch Pranab-da train the captains of the physical education groups. Parul would then go to the Mother with her copy of the book and ask her questions. She now remembers that while the Mother gave her long and detailed explanations she could not concentrate and listen for more than a short span of time. She would start drawing lines on the sand with her fingers while the Mother was talking; sometimes she would draw the outline of the Mother’s feet on the sand or look at what was going on around her. Meanwhile, the group of seven or eight ladies who always accompanied the Mother when she went to the Playground would be listening intently to what was being said. Often others would come and stand nearby and listen too. The questions were brought by Parul but the answers were enjoyed by everyone. As time passed, more and more people gathered around the little group, until it was decided by the Mother that a regular class would be held for everyone. This is how the Wednesday class at the Playground was started. At first it was held in the courtyard of the Guest House; then the group moved to the Playground itself. At times when it rained it was held in the Mother’s own room at the Playground, but mostly this session of reading the Prières et Méditations together was done in front of the map of India in the Playground. The classes started on 6th June 1951 and ended in March 1953. There were no tape recorders then, so the only records of what was said in this class are from people who took notes. Once again this book served as a textbook for a class, where young and old alike sat together and listened to the Mother’s explanations. Even those who could not understand French came anyway and sat at the back, participating in their own way in this collective activity. How compassionate the Divine Mother is to her children. She wrote these prayers as she identified herself with the earth-consciousness, with the toil and struggle of human beings aspiring towards the Divine and in this way she has herself given us the words with which we can invoke her. Through these words we enter into a world of beauty, of inner sight and inner hearing and of refinement. It is as if she herself has given us the flowers which we can offer to her.